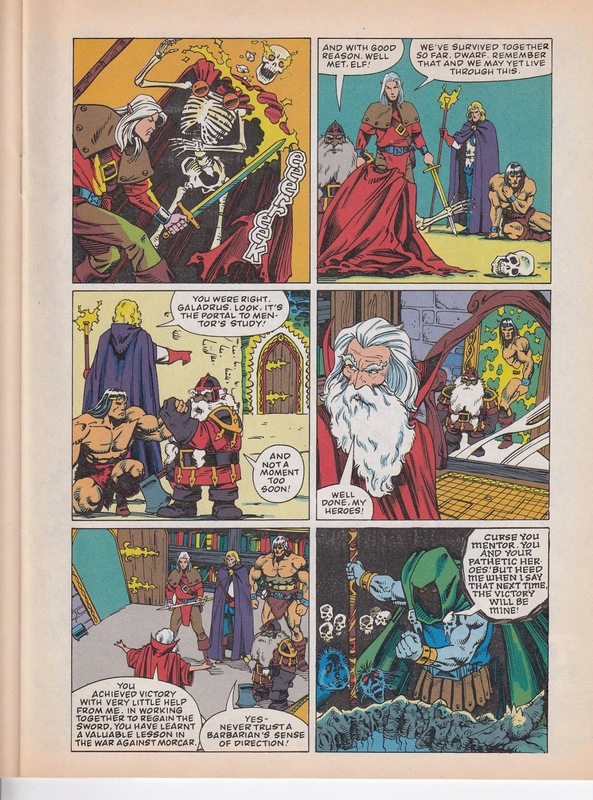 From 1991 here's a couple of pages from the obscure Heroquest - Marvel Winter special. 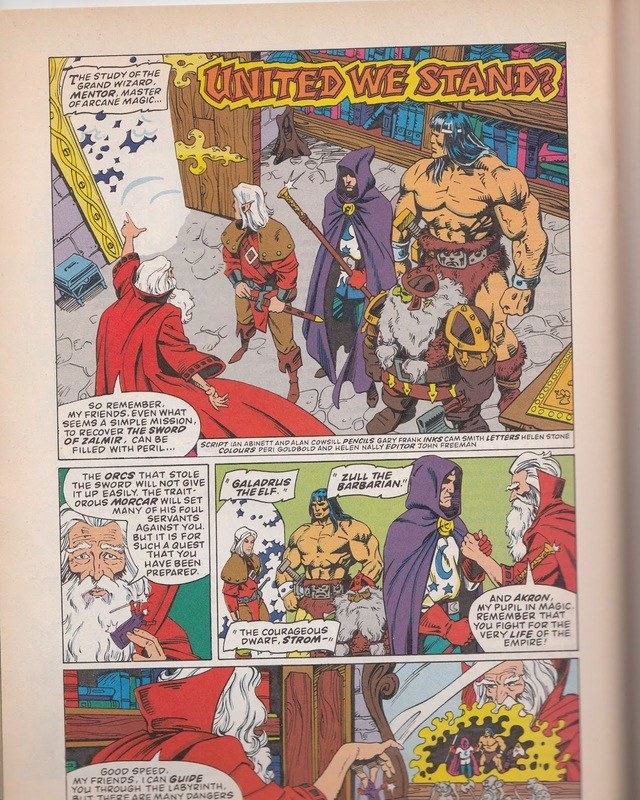 A slim 36 page publication (edited by John Freeman) I picked this up originally because I knew there was a comic strip in it. 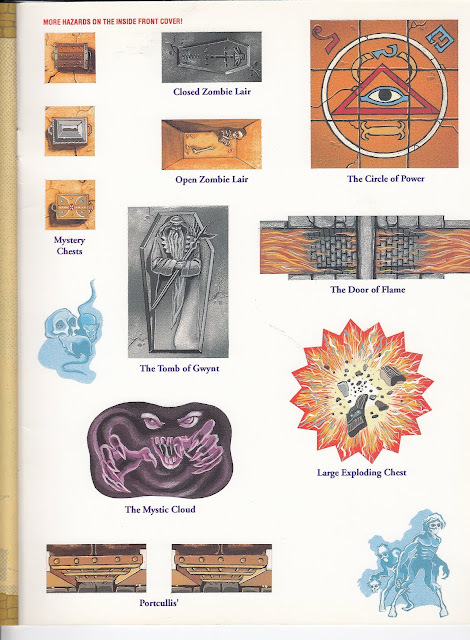 You also get pages on painting miniatures, a guide to merchandise, hazards, a new Heroquest scenario and more besides. 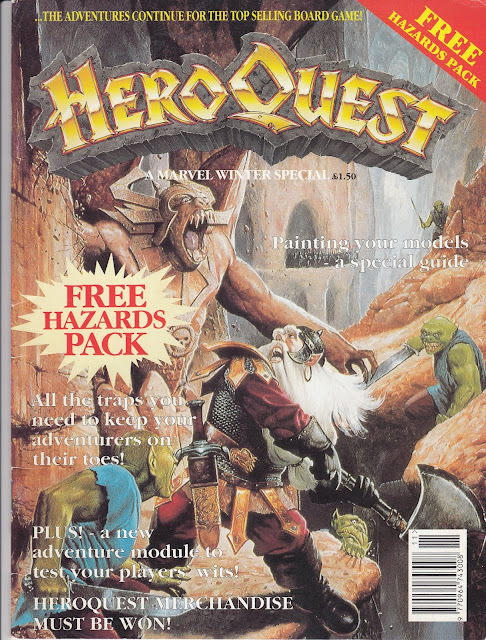 I loved Heroquest back in the day but didn't see this magazine and it took a long time to track down a copy that wasn't too outrageously expensive. Some cool hazards that came with the magazine - the magazine covers are card rather than paper so I'm guessing that the first thing plenty of people did with this magazine when they got it home was to cut the cover to shreds and that's why it's hard to come by these days.